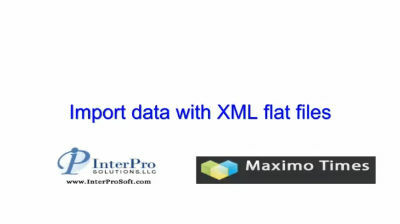 I have already shown in detail how to export data to an XML file but this screencast will show you how to import data using XML flat files. It will also show you how to get the XML file structure for the object you wish to import. 1. Can MIF look at a file location to automatically load the files. 2. If it can, does this file need any additional tags like headers with authentication, external System info. 1) Yes, you can create a MIF global directory where you can put XML files or flat files and setup a cron task to pick up those files and process them. 2) No, but if you are using XML files, they do need to be formatted correctly. I am trying to import from an xml file into Person records. There seems to be no problem with the xml format. The “Data Import” says that “Inbound transaction has been processed successfully to queue”. But the record doesn’t appear in the person records. However, the current status in Message Tracking is “Received”. It is never going into “Processed”. Could you help plealse? the “Sync” operations remain “RECEIVED”. And the current maximo base services package version is: 7.1.1.5. For some reason the export is successful, importing the xml is on hold, with no errors. Try to look at the jms queues in your application server, probably is the queue is full. Please check admin mode from database configuration..if it is on then off it…. Has anyone ever got the Inbound operations processed in 7.1.1.5 ? While the Publish operations are “Processed” and successful. I do have the same problem. I’m able to export items as XML or Flat-File, thats OK. But the import comes only into received status!!! I tried also the import with IFACE-Table but nothing reached ever my item table. But as I understand it, I need this “message driven beans” for processing in the continuous inbound queue. This one is not enabled in my enterprise service. Yes, you need to enable that. I am processing a bif flatfile and Maximo it is processing ok.
During Maximo processing (is very long) I like to know which records and how many records are procesed. How I can get this information? Basic question I guess… Is there any way to import data from either XML, text delimited flat files, or interface tables with a “custom” source structure? For example, let say we have a third-party system with “Users”, and we can export those users from that third-party system into specific XML or text-delimited flat file with a specific structure (not the typical Maximo structure)… Is there a way to import that file into Maximo using the MIF, and telling it what tag, field or whatever in the source file should correspond to what field of the maximo object structure ? All the examples I have seen so far over the web were using the maximo typical structure for xml files, flat files, interface tables… but in a typical real-life case, the source file coming from a third-party system will have a different structure…. Does maximo/MIF have something for this ? Or do we have to build some sort of custom program to transfer the third-party source file into a MIF-recognized file/object structure before importing it with MIF ?? I am afraid that you have to create a file that Maximo can read. Otherwise you would just have to write software as a medium between the two applications. That is how I do it. i am trying to import data using flat file (csv). While importing Following message come ” BMXAA5622E – Inbound transaction has been processed successfully to queue.” but data is not present in Item master also in message reprosesing , No message is there. Check and make sure your JMS queues are setup correctly and running. Chon, Have you tried to import/export work order? I am trying to generate a import template, the easier way is to export a flat file first, but I met problem, error message is ‘BMXAA1613 – This Publish Channel has processing rulse that may only be applicable for event-based processing’. no flatfile was exported. how can I do? I have not. You can try posting this in our forum to see if anyone else has tried to do this. I am trying to import attach documents via MIF (Flat file) using an Enterprise service . This is for adding attachments for Locations. I have the Object structure with Parent as Locations and child as DOCLINKS. I have the upload file with data. Can this be done? I am running in to an issue.